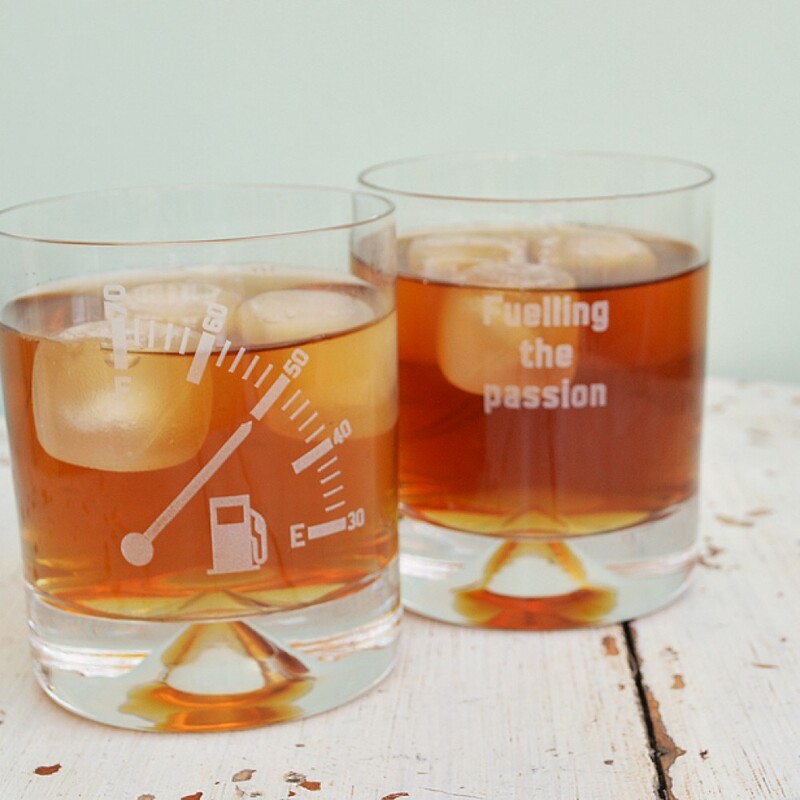 A stylish glass with a heavy cone indented base, featuring a fuel gauge on the front and a message or name of your choice on the back. 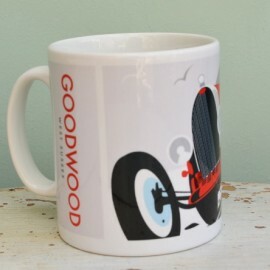 The dial on the fuel gauge can point to any of the main numbers from 30-70 making it ideal for landmark birthdays. It also indicates when the glass needs to be refilled. 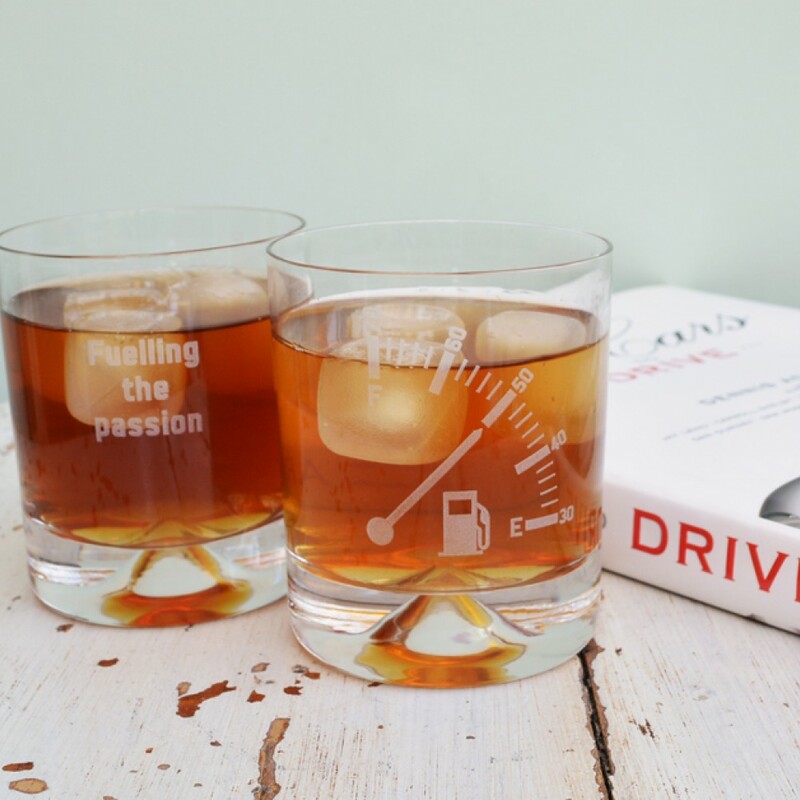 We chose to write 'fuel the passion' on the reverse side of the glass but the choice is yours. The glass is diamond engraved for a great finish. 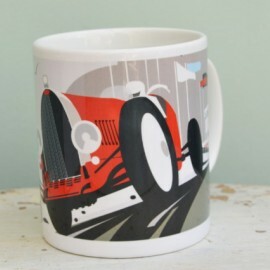 Presented in a luxury blue box with a satin lining it makes a great gift for any one with a love of cars. Size : Glass H 9.8cm diameter 8.2cm. Capacity 260ml.